Get the LOCAL DISCOUNT CARD at our hostel…. 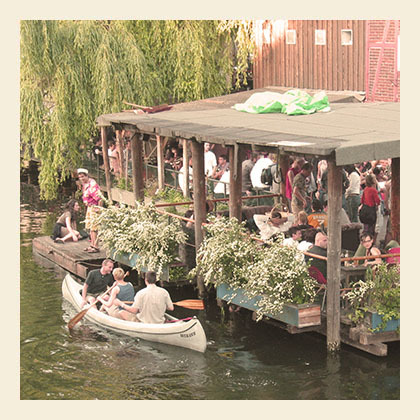 The EastSeven Berlin Hostel offers her guests a special Local Discount Card at check in. Here the guest can find some really excellent (vintage) shops, bars and clubs, all located very close to the Hostel in Berlin, Prenzlauer Berg. All these shops have an unique assortment of clothes, furniture, souvenirs, beers, pizza etc. etc. Using this card helps newcomers in Berlin explore the neigbourhood and discover some of the best local businesses. So if you are coming to Berlin we would love to welcome you to our Hostel. Get the Local Discount Card from our Staff at the reception and enjoy the most beautiful shops, delicious restaurants, lovely Cafes, and wild clubs in Prenzlauer Berg!! For more insider tips on events, parties, galleries, exhibitions in Berlin please check out our online Staff Recommendations.